WASHINGTON (AP) -- How it affects children will be one factor the Justice Department weighs as it determines how to respond to the legalization of marijuana in Washington state and Colorado,Attorney General Eric Holder told Congress Thursday. "When it comes to these marijuana initiatives, I think among the kinds of things we will have to consider is the impact on children," along with factors such as violence connected to trafficking and organized crime, Holder told a House Appropriations subcommittee. He commented in response to questions about ballot initiatives legalizing the drug that passed last year. 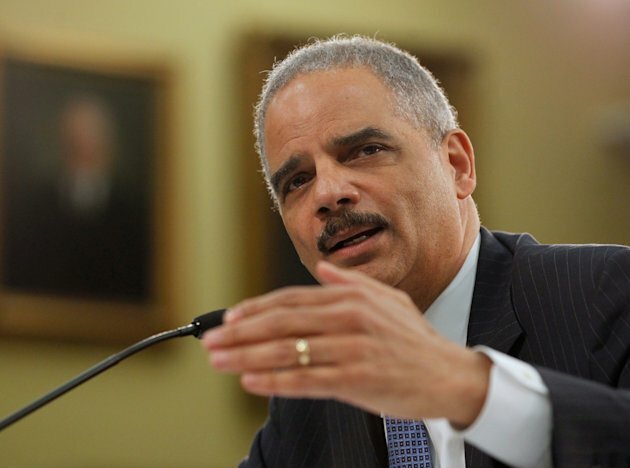 "We are certainly going to enforce federal law," Holder said. Marijuana is illegal under federal law, and one congressman pressed Holder to challenge the state initiatives in court. Holder said he hasn't decided what to do. In December, President Barack Obama said in an ABC interview that the federal government won't go after recreational marijuana use in the two states that have legalized it. When asked if he supported legalization, he responded, "I wouldn't go that far." Holder reminded the panel of that, and added, "I'm not for it either." But Rep. Andy Harris, a Maryland Republican, said that the president didn't take a position on the initiatives, and urged the Justice Department to do so. "Your department could choose to attempt to overturn those laws," said Harris, a physician. That would send a message to America's youth that marijuana is not a safe drug, he added. "Kids need clear messages and I'm afraid we're not sending them one," he said. Harris pressed Holder on when a decision might come, "because children are dying from drugs. It is a scourge ... can you give me a general idea of when that decision's going to be made?" Holder would only say, "As quick as we can."